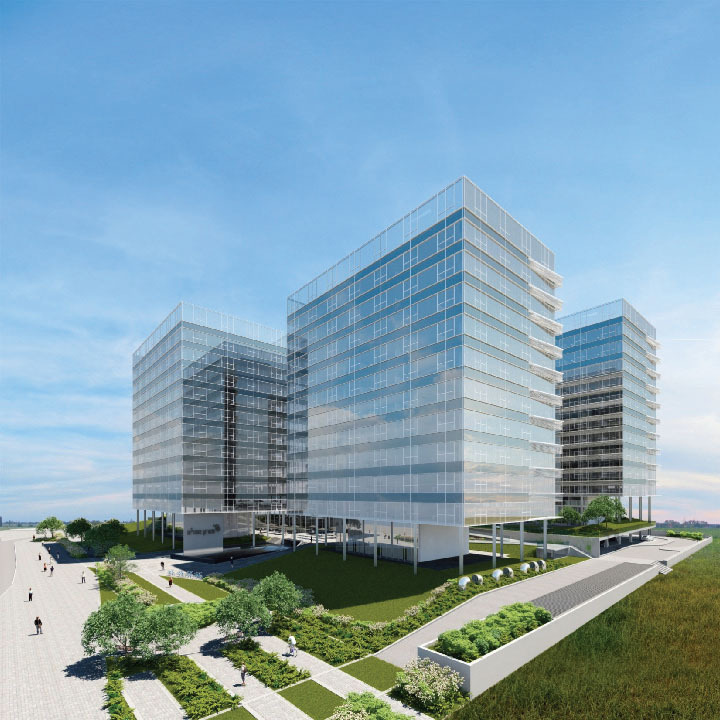 Ofer Park Petah Tikva looks forward into the horizon with a vision that aims to construct an impressive and functional Phase II of the Park, while adhering to the highest standards suitable for high tech firms and offices. The Park plan is characterized by a smart and dynamic architectural concept, designed to provide a comfortable and progressive working environment. 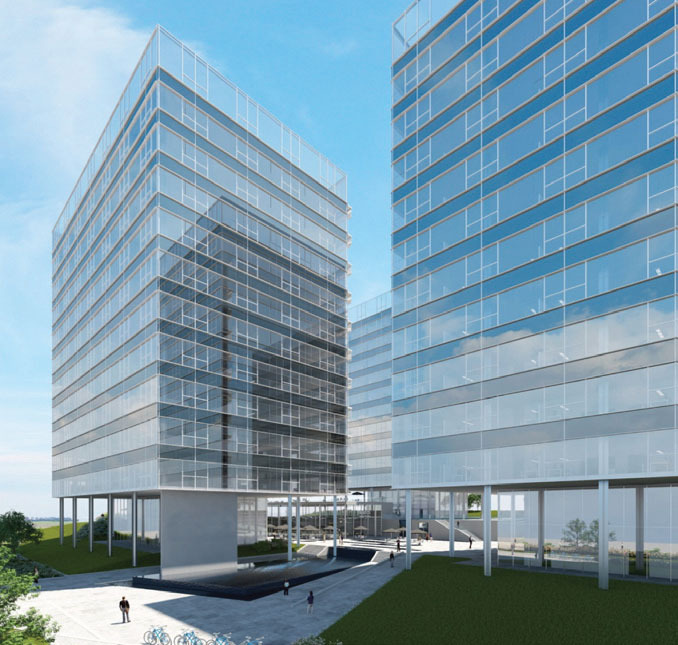 Four 12-story buildings are planned for Ofer Park Petah Tikva – Phase II, in addition to a beautifully landscaped green park between the buildings, and a variety of commercial businesses designated for the convenience of the tenants. In Ofer Park 2 Petah Tikva –we plan approximately 49,000 square meters of above ground construction (four buildings), 45,000 ,square meters of underground construction 1350 parking spaces, and 1,500 square meters for commercial utilities.